It's time to hack your life with travel hacks from Cover-More Travel Insurance. We've been around the globe and back again to bring you the smartest travel tips on packing. Check out or initial post on how to pack for travel to get a more in-depth look at the psychology behind travel packing. If you are a frequent traveller or love the idea of taking a spontaneous holiday (we know we do! ), keep a toiletry bag packed at all time and live out of it. When living out of small bottles is the norm, packing is simple. Save space by rolling clothes instead of folding them. Take it to the next level: after you have rolled your clothes, use air-compression plastic bags to squeeze the air out. Or, if you choose to fold your clothes, use tissue paper in-between to reduce wrinkling. 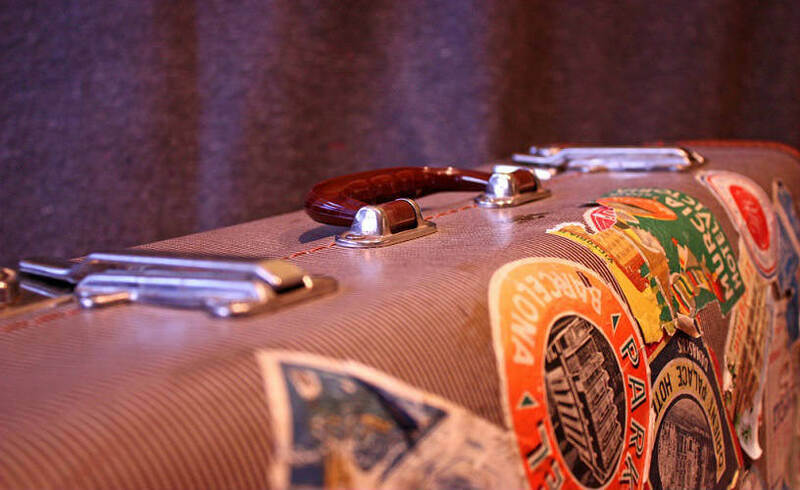 Pack heavy items at the bottom of your suitcase (the end near the wheels). This will ensure that your bag is balanced and it won't continuously tip over in the airport. Pack all dark clothing, and include layers. This means all of your clothes will match and you won't have to waste time putting together outfits. Dark colours also hide stains that may come from your luggage. Place a dryer sheet in your suitcase to keep your clothes smelling fresh throughout the trip and throw the hotel bar soap into your dirty laundry bag to mask the odour. Consider bringing a pillowcase along to put the dirty laundry in so it remains separate from your clean clothes. Pick the right travel bag for your backpacking trip—it's really important. We have a few tips, but you should really take this one to the experts. Many outdoors stores will give you a free consultation, which means sizing your pack and fitting it properly to your body. Instead of buying new travel size products every time you fly, rinse out the bottles from your last trip and refill them with your current products, or purchase small empty bottles and reuse them for each trip. Pack a few baggies of healthy snacks for long travel times. Don't break the bank at the airport by packing snacks ahead of time. We have a few suggestions for tasty travel snacks for the airport. Mark your baggage as fragile, even if it isn't. This will ensure your luggage is kept at the top, which will make it one of the first bags to be released. When unpacking after your holiday, put your clothes in the wash immediately so you don't find yourself living out of a suitcase for months to come.